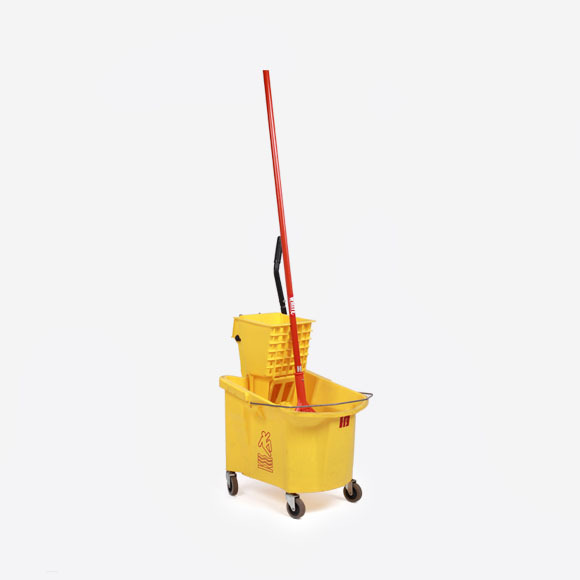 Yellow plastic squeeze wringer and plastic bucket with 3″ casters. Wringer has plastic splash guard water vents to eliminate squirting and splashing. Single bail allows heavy loads to be lifted.